Caption slip reads: "Photographer: Lapp. Date: 1957-07-29. Reporter: Sid Bernstein. Assignment: Ward party at General Hospital. 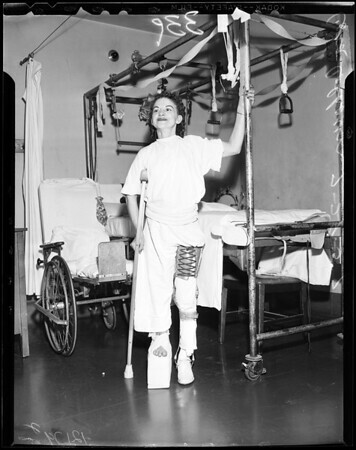 33/34: Cora Calhoun, 42, tries out new leg brace -".